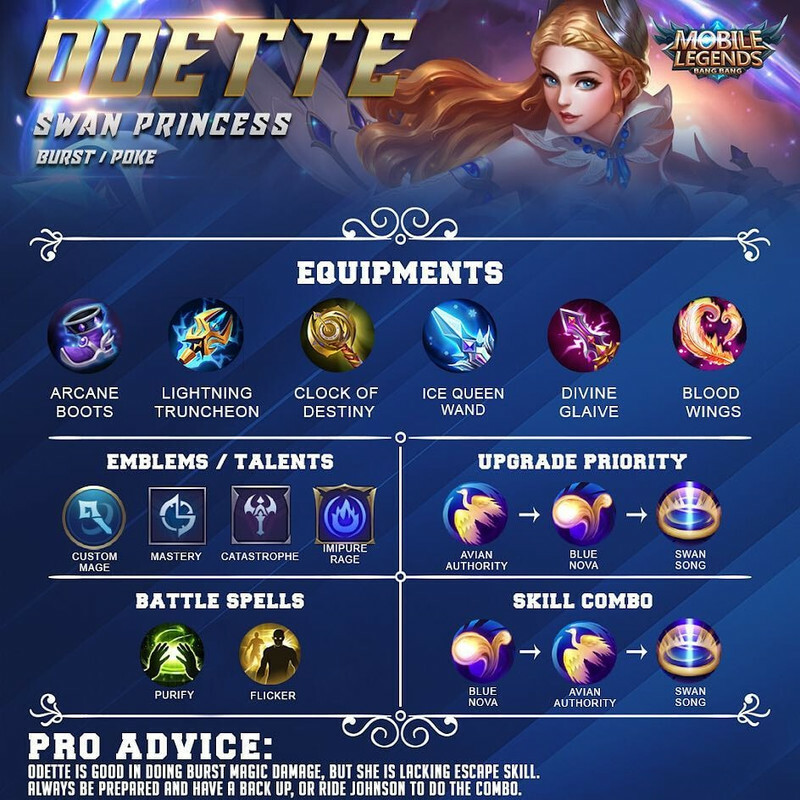 ODETTE fast guide - Guides - Mobile Legends: Bang Bang - Powered by Discuz! Nice Guide! :) Does Glowing Wand better instead of Ice Queen Wand? Yes lightning and COD really a good item combo for odette or basically any mage. Thanks for uploading this. Keep up the good work. As well as Rafaela and Estes too, these two are great with these two items. yes, basically any mage would do but depends on play style too.